I was making a list of things to pack for my weekend camping in West Wales when I realised I hadn't shared these photos from my last trip there. 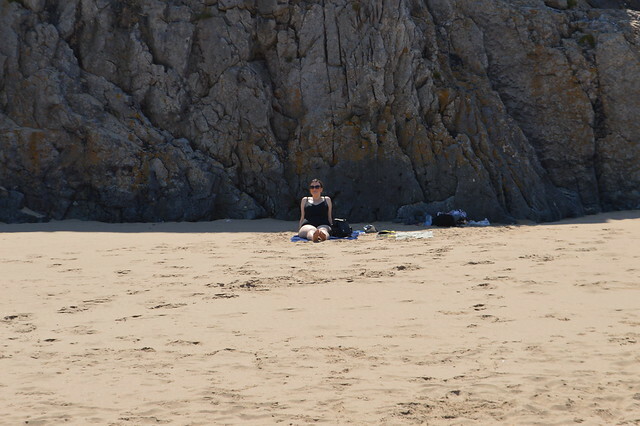 Martyn and I were lucky enough to spend a few days in West Wales when it was nearly 30 degrees. 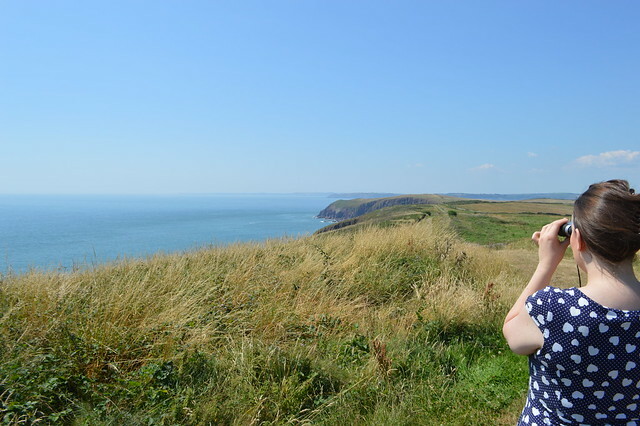 We made the most of the weather and headed out to explore every day and I was excited to visit a place that's always been on my list of things I want to see in Wales, Caldey Island. Caldey Island lies on the magnificent South Pembrokeshire coastline on the western fringes of Wales. It is one of Britain's holy islands and the Cistercian monks who live on Caldey continue a tradition which began there in Celtic times. The island is a beautiful haven and is very tranquil and quiet. 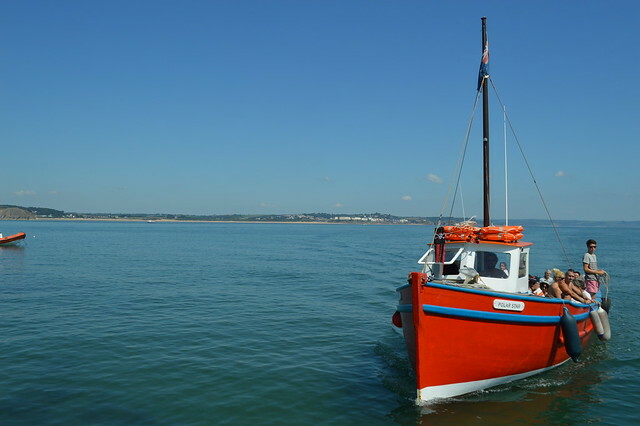 Boats run to and from the island every 20 minutes or so from 9.30 am until 5.00 pm Monday to Friday, and on Saturdays during the Summer. The twenty-minute trip leaves visitors at the landing spot on the beautiful Priory beach, the only safe bathing spot on the island. From here it is a short stroll to the village and Monastery. I loved seeing all the pretty pastel houses on the way to the island and the sea breeze cooled us down in soaring temperatures. Martyn and I hung out on the beach and went for a swim to cool down before exploring the island. A word of warning, spray yourself with bug spray before visiting. I ended up with about 20 huge bites all over after visiting Caldey. Caldey Island is owned and run by the Reformed Order of Cistercian monks, who live a simple life farming the island alongside a small village community. They produce a number of famous homegrown items including chocolate, ice cream, clotted cream plus perfumes and hand lotions derived from wild flowers that grow on the island. 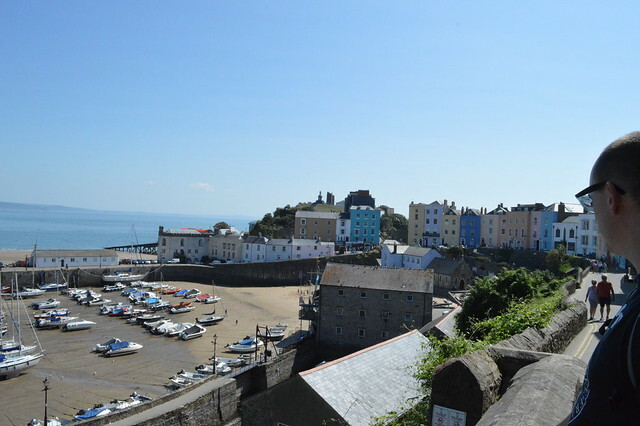 We walked up to the Lighthouse for spectacular panoramic views of the Pembrokeshire Coast, Tenby and the Preseli Hills, the Gower Peninsula and Lundy Island. 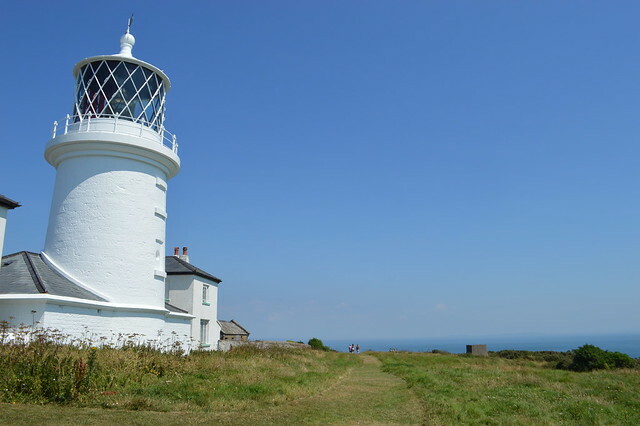 Caldey lighthouse was the last Trinity House lighthouse to be powered by acetylene gas right up until 1997 when it was converted to mains electricity. I'm really looking forward to camping in West Wales again this weekend but the forecast is a bit less tropical. I think it's going to be a bit grey and rainy but I'll be packing my bike and waterproofs and making the most of it. 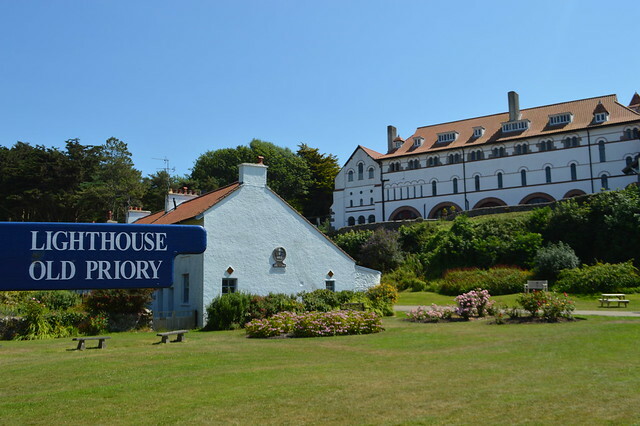 Have you visited Caldey Island or West Wales? 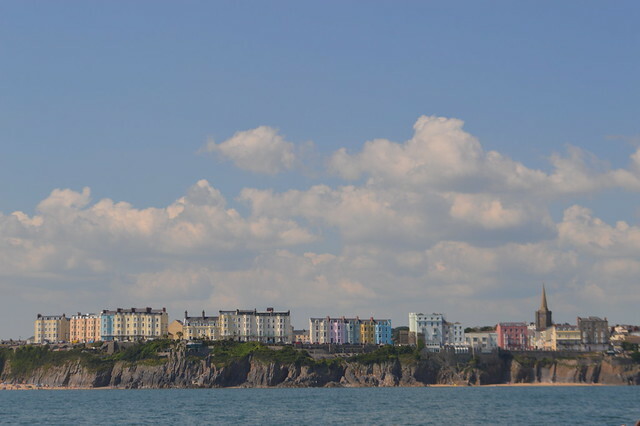 Your photographs show the area under beautiful blue skies. The place looks idyllic. I hope you enjoy your break just as much on your next visit. I've never been there but it looks amazing and I would love to visit it one day.... such an amazing views! This looks so lovely, Mark and I are planning to go next year!